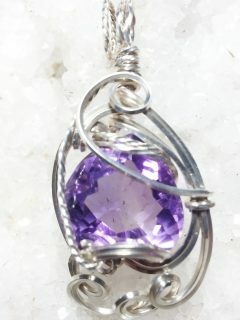 11.7 carat amethyst in argentium sterling silver sculptured pendant. 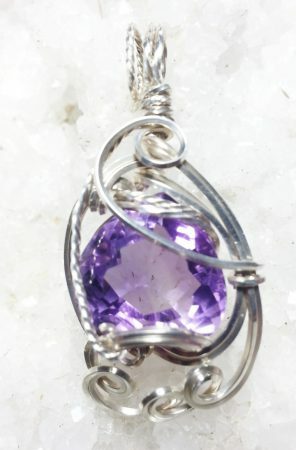 This beautiful round 11.7 carat light Amethyst stone is sitting in a beautiful Argentium Sterling Silver Sculptured Pendant. 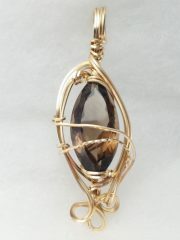 The stone has faint light/darker area which add to the beauty; clarity is excellent. 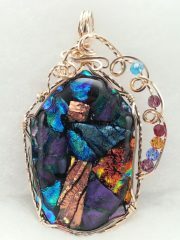 The pendant is 1 3/4 inches long and 1 inch wide with a bail that will accomodate a 6mm omega or chain. 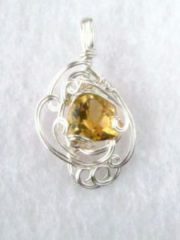 As are all of my designs, it is a One of a Kind and is a great gift for a February girl.